Center Channel SpeakersWhen it comes to a true surround sound setup, the center channel is dedicated and necessary for the reproduction of dialogue and vocals in movies and music. Ensure all details are heard by adding a well-defined Fluance Home Theater Center Channel Speaker to your system. The result is a realistic experience, as if the performer is talking or singing directly in front of you. Home Theater Setups: 2.0, 5.1, 7.2 and More, What Does it All Mean? Each speaker in your home theater setup plays an important role. Your center channel speaker should not be overlooked, this speaker will produce dialogue and vocals in all configurations including 5.0, 5.1, 7.0 and 7.1. To create a balanced listening environment the center speaker should closely match the timbre, mid and high-frequency range and output levels of the other speakers within your system. 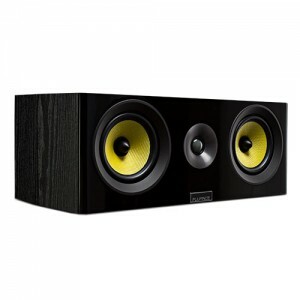 Center channel speakers in a home audio setup require significant attention to detail in selection and placement. 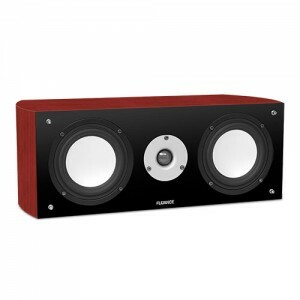 Fluance has crafted a line of center speakers to guarantee a rich, captivating audio experience. To achieve the sweet spot, optimal placement can be above or below a TV or projection screen and positioned at an equal distance between the front left and right speakers, the height should be at sitting ear level. Fluance center channel speakers are crafted in a horizontal 2-way driver configuration and feature a tweeter between two midrange drivers. This configuration allows for an even disbursement of sound throughout your room regardless of where you are sitting. Fluance uses cabinets with a large depth to produce fuller more natural sounding vocals by efficiently producing better low and midrange frequencies.